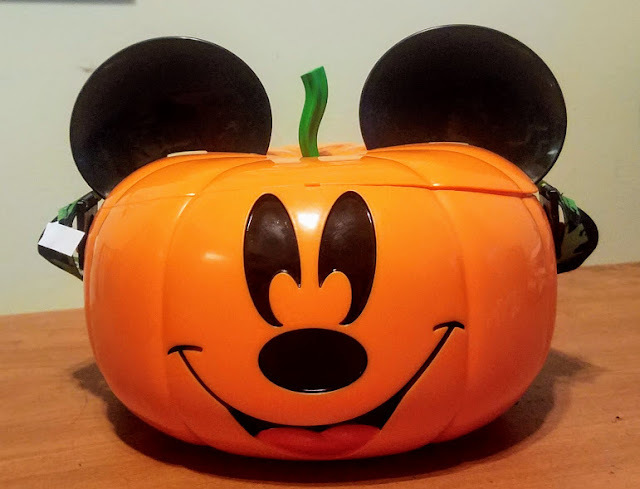 Enter to win this cute Mickey Mouse Pumpkin popcorn bucket from Disneyland! This giveaway is open worldwide and the winner will be notified by email! Love going to Disney World and looking at all the Halloween decorations they are awesome. I love the decorations and the treats! I love the giant pumpkin on Main Street and the Halloween party! The decorations and the special ride effects are the best parts. I haven't been to Disneyland at Halloween, but I love all the decorations at WDW - maybe someday for DL! I love visiting Disneyland during Halloween! Mickey's Not-So-Scary Halloween Party is a BLAST! I absolutely love the decorations! I love the decorations that I see from other photos as I have never been before. I like the costumes and decorations.